Ross Barkley will naturally sit at the forefront of the pre-match narrative as Everton prepare to welcome Chelsea to Goodison Park on Sunday afternoon. The former Evertonian will return to his former club as a markedly different player to the one who departed in January 2017. Supporters often lamented his failure to influence the game for prolonged periods of time, as sporadic bursts of star quality were seldom maintained with consistency or longevity. Barkley failed to fully discover his mojo on Merseyside, and the incredibly frustrated supporters regularly came down on the local-born prodigy with vehement criticism. The criticism which was regularly vented at Barkley was merely a symptom of the frustration amongst supporters who want to see their club break free from the mediocrity of mid-table no-mans land. Whenever a player steps into the senior squad and showcases a level of talent beyond the level Everton are currently at, feelings of expectation and optimism arise simultaneously, but the fans are merely setting themselves up for disappointment. Ademola Lookman is the most recent example of a precocious talent who is revealing signs to suggest that he can establish himself as a top level star in the future. 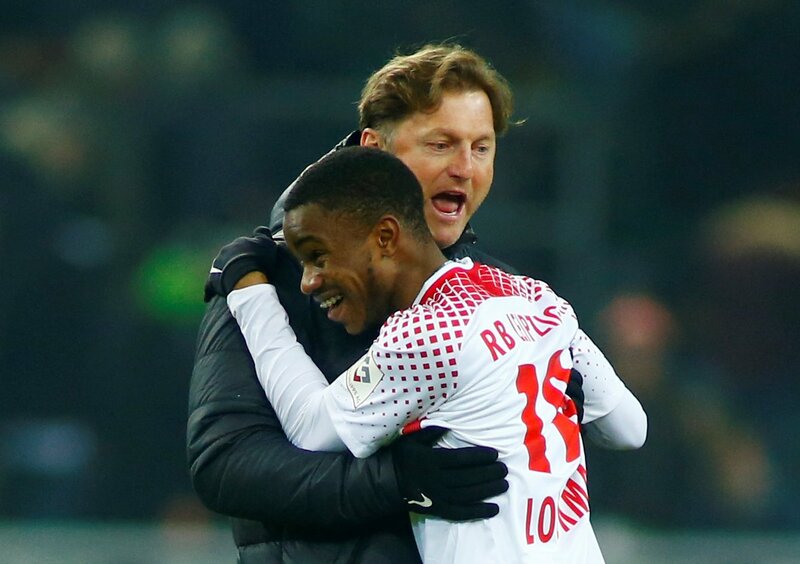 A short-term loan move at RB Leipzig produced the kind of results which Everton were hoping for: Lookman finished his spell with five goals and four assists to boast from just twelve fixtures under Ralph Hasenhuttl. You could even compare that to Barkley’s loan spell with Sheffield Wednesday, four goals in 13 appearances preceding his ascension into an Everton regular. The former Charlton wing-wizard was expected to come back and rip the Premier League to shreds, but that expectation was flipped on its head when the Bundesliga outfit returned in the summer with a permanent deal on the agenda. Lookman reportedly expressed his desire to return to RB Leipzig amid the fresh dose of interest, with the arrivals of Richarlison and Bernard lending reason to believe that first-team opportunities would be hard to come by. This is where the beginning of the end may well have started. Rather than applying an element of common sense to the situation, disgruntled supporters took personal offence to Lookman’s desire to leave the club and began to turn on the 21-year-old. Questions were subsequently asked about his level of professionalism despite the fact he had every right to feel impulsed to return to Germany. After all, RB Leipzig handed him a genuine platform to showcase his talent and his scintillating performances hinted he was right at home. Just like Jadon Sancho, he thrived away from the spotlight of English football. Back at Everton, though, he has made just three Premier League starts this season. His development has been restricted by Silva’s reluctance to hand him a string of starts but no doubt fans will pinpoint the blame on the player’s apparent attitude problem, further souring the relationship between fans, player and club. Lookman is the most exciting talent to emerge at Everton since Barkley but it seems the club are fighting a losing battle to blood him into the first-team. Ronald Koeman recognised his talent and commendable attitude shortly after he arrived at the club from Charlton: “I am really impressed with his attitude and his training because he can be a really top player.” There is plenty of evidence to vindicate Koeman’s claim for the future, yet Everton look destined to let another massive talent slip through the net due a short-sighted approach to the transfer market which has saturated the squad and negatively impacted on the England youth international. Lookman is exactly the type of player to take Everton to the next level, but it’s unlikely that he will stick around to fulfil his star potential given what has happened since he stunned Germany on loan last season.